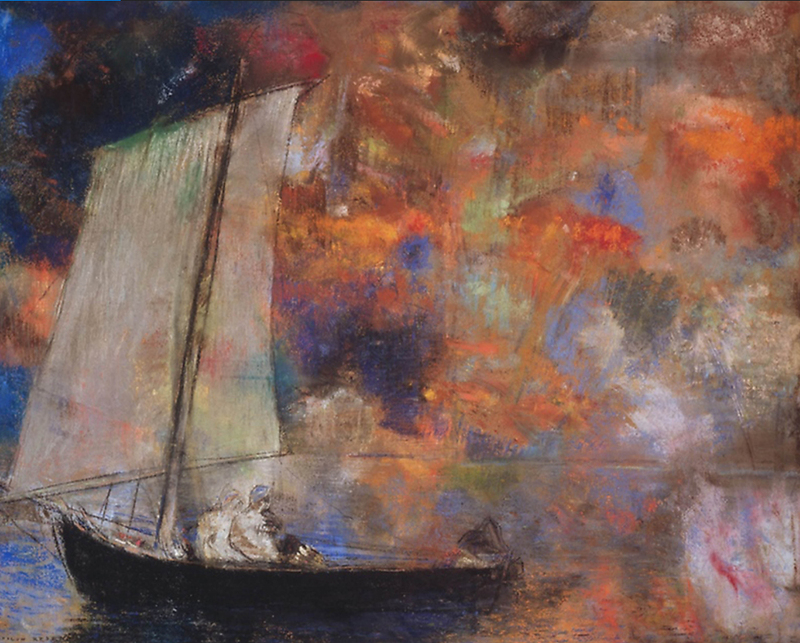 Odilon Redon, Flower Clouds, c. 1903. “The Medium is the Message: The Rise of Drawing in 19th Century France”. It was not until the latter part of the 19th century that drawing was embraced by Impressionist and post-Impressionist artists as an independent means of expression equivalent to painting and sculpture. Their innovations were a direct result of sustained experimentation with their materials. Paul Gauguin and Odilon Redon blurred distinctions between art forms in their production, finding the creative processes of making prints, drawings and unique multiples intellectually comparable to that of painting in oils or carving marble. Edgar Degas took pastel sticks in hand – not to “paint in the dry manner”– but to create technically complex, multi-layered surfaces of powdered colors and fixatives that were as aesthetically compelling as his oils on canvas. Join conservator and technical art historian, Harriet Stratis, as she follows the trajectory of this phenomenon and explores the innovations that resulted from these artists’ engagement with materials.